Regulates intercellular communication. Supports cellular & tissue regeneration in the Central Nervous System (brain). Supports cognitive and neurological function. Possible Applications: Strokes, Dementia, Depression, Anxiety, Psychiatric, over strain of Nervous System, weariness of eyes, stimulates efficiency of the central nervous system. Adult Stem Cell Activators target the Central Nervous System. Regulatory Protein-based Nanoparticles and Nanotechnology targets the gland, organ or tissue creating cellular communication for optimum glandular function. The damaged cells/tissues are replaced and removed from the body. I had a pain in my left eye. My Dr. couldn't see anything other than a small scratch. I took CNSE orally and one drop in the eye. I can feel improvement already - no pain!! I am taking CNSE because I had a stroke. I can tell, after taking 3 bottles, my arm is getting better. I can see improvement already. I am 99 years old, with my 100th birthday next month. 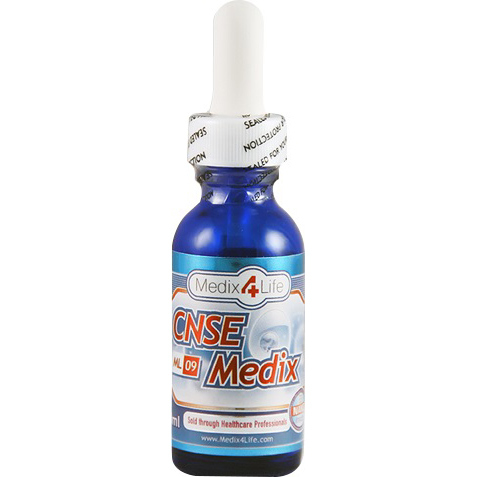 On CNSE for only 1 month for eyes, one drop two times a day. I went to my eye Dr. who said I am seeing better. I could see 2 lines further on the eye chart with no glasses! I really didn't see/feel any alertness of any sort for more focus and clarity or even remembrance as I would have liked. Took 20 drops faithfully on empty stomach. I was able to notice that it kept making me drowsy in the morning, therefore, I decided to take it at bedtime. However, I finally stopped it for I was not getting the benefits that I would have wanted from this product. Perhaps it works for some people to revive the brain to more sharpness/concentration with less heavy fogginess as I would have wanted for me but it didn't work for me. I also didn't feel that it helped with any depression relief nor weariness of the eyes. It did make me always super sleepy so it may help people out there with insomnia. I hope someday there will be a true formula for more mental sharpness for more motivation/initiation without having to take caffeine. I would like to be more awake during the day rather than go around sleepy. I will not reorder this formula for I was not able to benefit from it since I was not suffering from insomnia.